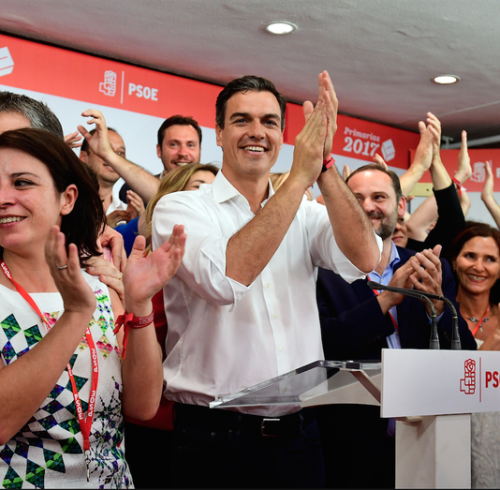 The changes in the PSOE are important in Spain, and they are quite an experience for all the Socialist lefts in European countries like Belgium, Great Britain, Germany, etc. The election of Pedro Sanchez as General Secretary of the PSOE is a great victory for the left in that Party. The latter imposed itself because the militant base, in participating as it did, helped to face down the Party’s apparatus and its right-wing. Pedro Sanchez had been PSOE General Secretary in 2014; but in October 2016, he had been dismissed by the right wing Confederal Committee. In his place, the Committee had set up some [form of] “provisional management”. This change had struck the base of the Socialist Party like a state coup. The idea of the Committee had been to force the Socialist MPs to abstain in a parliamentary vote, in order to let Rajoy (of the Conservative Popular Party, the PP) become president of the country by a simple majority. From that moment on, important confrontations got hold of the PSOE. It is during these that the Party’s base imposed the right to elect a [proper] Party’s General Secretary. The right wing candidate and president of the Party in Andalusia, Susana Diaz, started off as favourite. The Party’s apparatus supported her, and she was sponsored by Felipe Gonzales, Guerra and Zapatero. The campaign for these primaries was marked by violent confrontations, insults and personal attacks. A large number of militants took part, along with many young people who supported firmly Pedro Sanchez’ determination not to let the PP win another Rajoy Government. People invested a lot of hope in the results of those primaries – not only within the PSOE but in the other left wing organisations too, like Podemos, Izquierda Unida, etc. Most preoccupied also was the right wing. The results ended up in a huge victory for Pedro Sanchez. He won by more than 50% in spite of the great pressure of the media that had put itself at the service of the candidate of the Party’s apparatus Susana Diaz. In the public meetings and the reunions of the Party’s organisations, Pedro Sanchez had been defending a programme against the Rajoy’s austerity measures. His programme defended the public services, the repeal of the Labour-reform Law and the creation of a plurinational State. Before the opening of the campaign, Sanchez travelled to Portugal to learn about the experience of the present Left government there. The latter implements a programme of economic growth without any need for austerity. It pays back the public debt and still carries on with public investments and job creation. This policy of the Portuguese government has entered in contradiction with the directives of the European Union. It shows that the possibility exists not to make the masses pay the price of the crisis. Sanchez had meetings with the Spanish Trade Unions too – Workers Commissions and UGT – to witness how the labour laws increase unemployment and job precariousness; and to discuss with the Unions other types of employment policies. Seeing the victory of Pedro Sanchez as a great progress, the Socialist militants took eagerly to the streets to celebrate. 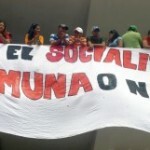 The Party’s HQ and surrounds filled up with activists demanding a return to the programme of the Left. They stressed the point by singing the Internationale, fists raised, with the new Party leaders joining in. The balance of forces in the Left has changed. One already observes attempts at more relations between Podemos and PSOE, as happened in the case of the no-confidence motion against Rajoy in parliament. This offers the opportunity to present the programme necessary to get the country out of the crisis. The conditions exist to surpass the reformist policies. 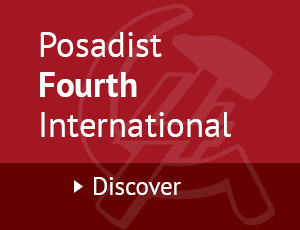 One cannot just wait for more capitalist development in order to redistribute the riches afterwards. Measures of nationalisation must be implemented right away, just as Podemos proposed in some parliamentary debates. Note: Podemos is a new left wing Party in Spain created in 2014 in the wake of the 15M movement against inequality, lack of people power and the corruption of those in power. Pablo Iglesias is Podemos’ leader. The featured image shows Pedro Sanchez as his victory is announced. On the 21 May 2017. Mariano Rajoy, Conservative Prime Minister, elected in 2011 following the defeat of Zapatero of the PSOE. On 23.10.2016, the Guardian reported in the UK that the PP needed the PSOE MPs to either support Rajoy, or abstain in a confidence vote. Felipe Gonzalez, General Secretary of the PSOE 1974-1997. Prime Minister of Spain 1962-1966. Alfonso Guerra, PSOE, Vice President of Spain 1982-1991. J L Rodriguez Zapatero, PSOE, Prime Minister of Spain 2004-2008 & 2008-2011.